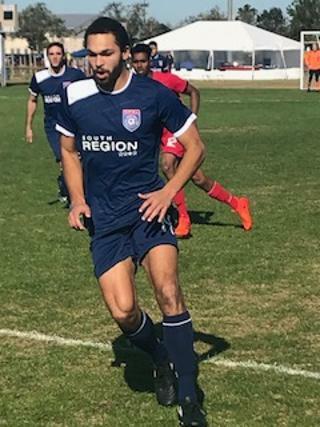 The Demize NPSL is proud to have had two players and its coach selected to compete in the 2018 NPSL Player Showcase. Chris Hanlon, Jaxn Rogers, and Kyler Moore traveled to Kissimmee, Florida for the event from January 13-15. The NPSL is very unique in its structure that provides players the opportunity to attend this event. The NPSL Player Showcase grants players the platform to display their talents in the presence of MLS, USL, NASL, and International Pro Coaches. This is the fourth year of the event of which Hanlon has coached every year. “It’s a great chance for top players in the NPSL to showcase their qualities to professional coaches,” says the Demize Director of Soccer Operations, Chris Hanlon. 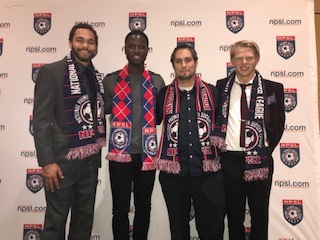 Chris, Jaxn, and Kyler were all very pleased with attending the 2018 NPSL Player Showcase. For Jaxn and Kyler, the event gave them a massive platform of which to showcase their talents in front of professional coaches from all over the US, from MLS coaches from Real Salt Lake, San Jose Earthquakes, New England Revolution, and Chicago Fire to USL coaches from Swope Park and more. This experience will allow each of them to return to the Demize with more knowledge and wisdom that they can disclose to their teammates and academy players. It is hoped that Rogers and Moore are only the first of many academy products to compete in events like this.